Sweetgrass Baskets are a tradition along the Atlantic coast. 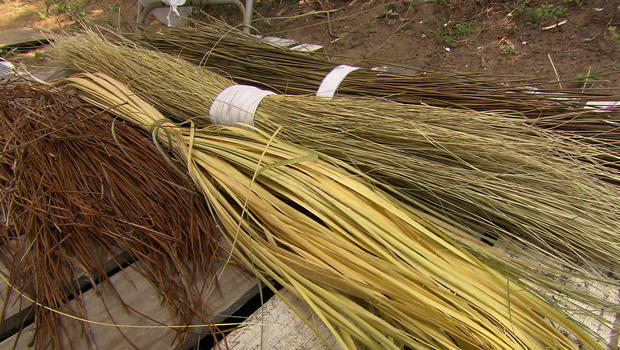 CBS Sunday morning has published an interview and video of the harvest of Sweetgrass which you can see by clicking the Sweetgrass image below. “Outside Charleston, S.C., Highway 17 looks like another Southern country road. It’s actually a working art gallery of sweetgrass baskets. “What does it represent to you?” Strassmann asked. That community is the Gullah, descendants of West African slaves first brought to coastal South Carolina and Georgia in the early 1700s. 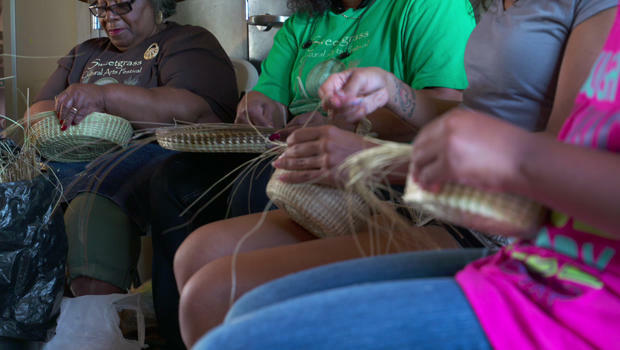 They wove baskets from native grasses and plants out of necessity. Before these baskets became art, they were tools. The grasses for the baskets grow wild. Lynette Youson took Strassmann to one field. She grabbed the green sweetgrass by the handful and — with her foot on the root — pulled it out of the ground. “And it’s just that easy,” she said. Click image to view video at CBS Sunday Morning. Click here to shop supplies at basketweaving.com. Free materials, but a lot of labor. Simple baskets can sell for $40. Elaborate pieces, often prized by collectors, can go for $8,000. Six days a week, Lynette Youson makes baskets with her mother, Marilyn, and daughter, Kimberly. Kimberly is a sixth-generation weaver. And Lynette’s granddaughter, Allisse — they hope — will be a seventh. “What goes through your mind when you look at them?” Strassmann asked.